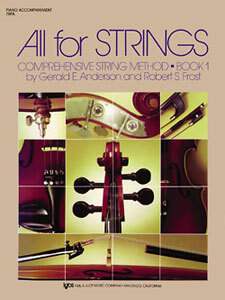 All For Strings Book 1 - Piano composed by Gerald Anderson, Robert Frost. Orchestra. For piano. Method book. All for Strings. Elementary. Method book. Published by Neil A. Kjos Music Company (KJ.78PA).ISBN 849732271.All for strings is a comprehensive three-volume method surrounded by a wealth of supplementary materials for teaching and performance. This complete curriculum covers virtually every aspect of beginning through intermediate string study, emphasizing technical skills, rhythmic understanding, and quality musical experiences. Many of the National Standards for Music Education can be easily implemented into the classroom setting with the varied components All for Strings has to offer. Book 1 provides a well-rounded course of study for all beginning string students. It begins with "Starting by Rote" and "Starting by Note" approaches to music reading. Photos, diagrams, and logos integrated throughout the book reinforce all new concepts introduced. 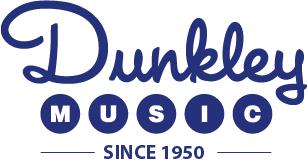 Carefully selected and composed technical materials and musical selections provide excellent opportunities for learning and growth. Rhythm exercises and theory games are also provided, as well as duets, trios, and ensembles.